Whether recovering for illness or injury, there are times when you may require the advanced medical resources and skilled nursing found in a hospital but while you rehabilitate at home. Skilled nursing helps prevent hospital readmission, improves recovery time, and helps you get back to doing the things you love as quickly as your treatment allows. 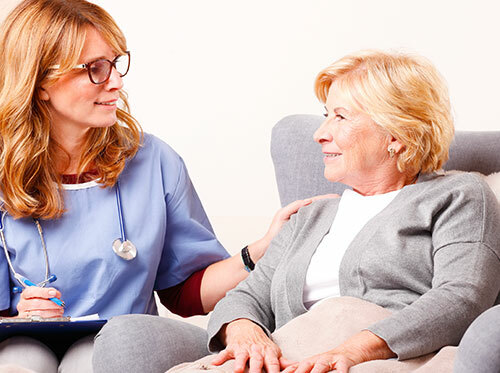 At Professional Healthcare Resources, we provide skilled nursing services at your home throughout Alexandria, VA; Annandale, VA; Kensington, MD; Baltimore, MD; Lanham, MD; Washington, DC and the surrounding communities. When you work with us, you won’t be treated like just another patient. In fact, our team of healthcare professionals are focused on you…helping you better manage your health and enjoy the best care outcomes. Whether short or long-term care is needed, our skilled nurses work with the patient, patient’s physician, and family throughout the care process, customizing a plan of care that reflects the individual’s needs and preferences. The plan of care is designed not only to improve the patient’s health, but also to enhance their quality of life. Some or all of your skilled nursing home health expenses may be covered by Medicare or private insurance. If you have questions about our skilled nursing services, please don’t hesitate to reach out to us. We are here to assist you when and where you need us!